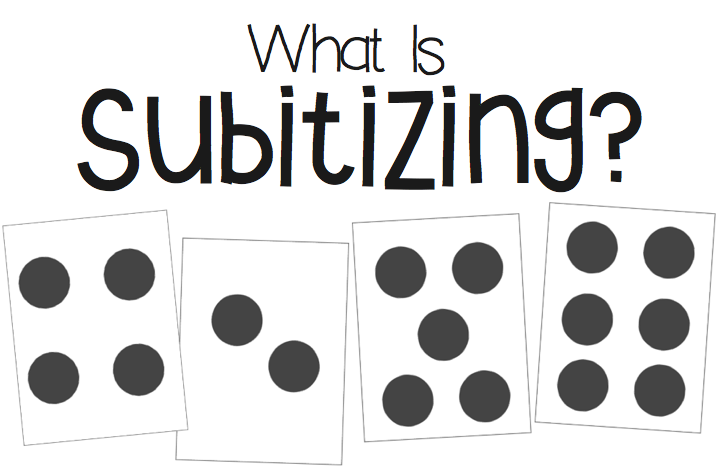 Simply put, subitizing is the ability to recognize a small group of objects without counting. It is a fundamental skill in the development of number sense. I find that using a real-life example often helps in understanding certain concepts so let’s give it a try. 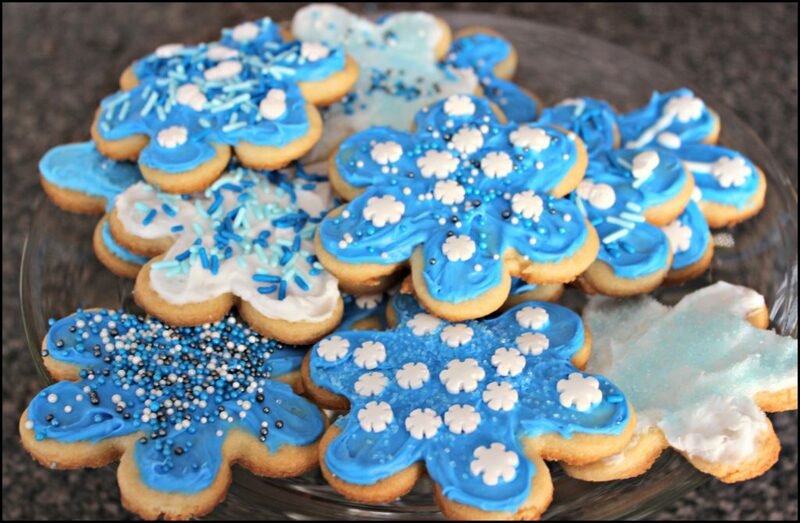 Last week I baked some sugar cookies. If I were to take four of these cookies and place them on a plate I would know there are 4 on the plate without having to count each one individually. This is because I have a “stable mental image” of the pattern of 4. I can move the cookies around in different positions on the plate and still know there are 4 cookies. 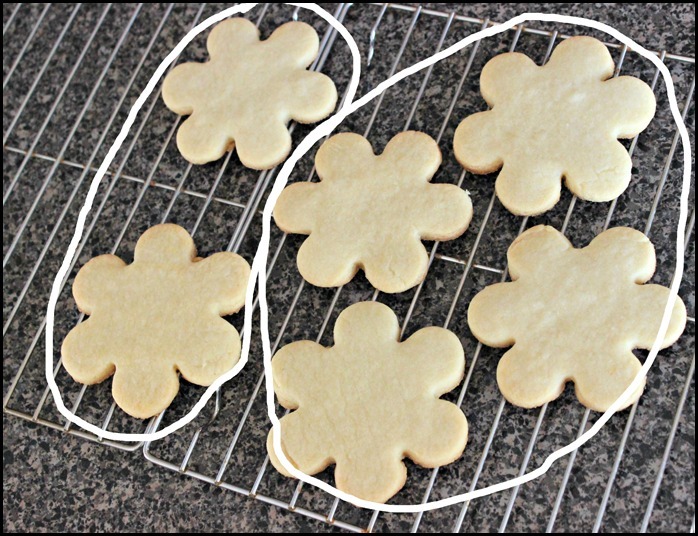 Since I have the ability to subitize I don’t have to count each cookie (1-2-3-4) to know there are 4. Now take a look at these cards. How many are on each card? Did you have to count each dot to come up with your answer? Probably not. You just looked at the card with 2 dots and said “two”. You didn’t have to count each dot (1, 2). Around four years of age we could expect that children can recognize groups of four without having to count. The maximum number for “perceptual subitizing” (instantly recognizing a small group of items) is thought to be 5- even for adults. Beyond 5, children (and adults) use different mental strategies to figure out how many items are in a group. Employing different strategies to figure out the total of a group is referred to as “conceptual subitizing”. So if we go back to my cookie example and let’s put some cookies on a cooling rack. I know that there are 6 cookies on the rack without having to count each one individually. This is because I see a group of 4 and a group of 2 and then I add them together. I know that the number 6 is made up of the two smaller numbers – 4 and 2. Using dot cards helps to foster the skill of both perceptual and conceptual subitizing. We start with groups to 5 using the Quick Look method. Using this method you show your student(s) a dot card for only 3 seconds and have them say the number. You do not want your students to count (e.g. 1-2-3) and that’s why the cards is shown quickly and then hidden. If a student or students are struggling with the numbers 1-5 then work with the numbers 1-3. Once your students are quickly recognizing a group to five you can then move to the 6 to 10 dot cards again using the Quick Look method. Using these cards the students need to recognize that a number is made up of smaller groups and then add them together to get the whole. Students will have different ways of grouping the dots and figuring out the “whole”. For example, here are two ways students can figure out how many dots are on the card by how they are grouping the dots. After introducing the card, be sure to have the students verbalize how they figured out how many dots were on the card. Helping students to quickly recognize groups is an important foundational skill. 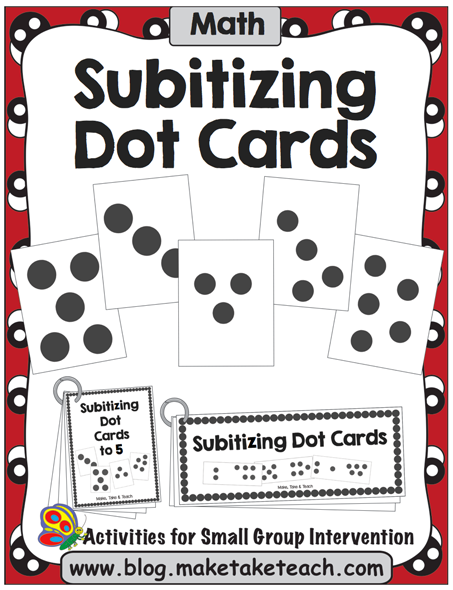 To download the Subitizing Dot Cards just click the Math tab on our homepage.